John advises clients in the areas of finance and lending, mergers and acquisitions, and general corporate representation. He strategically guides lenders and borrowers in commercial real estate financing transactions and commercial loans. He also provides corporate counsel and transactional representation to a variety of clients, including those involved in manufacturing, distribution, retail, insurance, construction, real estate development and information technology (IT). In finance and lending, John handles transactions secured by commercial real estate clients, including construction, interim and permanent loans, revolving credit facilities and acquisition financing. Such loans are used for the construction, redevelopment and acquisition or refinancing of a variety of commercial properties, such as shopping centers, office buildings, condominium developments, apartment complexes, senior living facilities and manufacturing facilities. John is experienced in representing borrowers in loans for commercial mortgage-backed securities. He also represents commercial banks and companies in a broad range of loans, including revolving credit facilities based on receivables and/or inventory, loans backed by securities or equipment, and acquisition loans. In addition, he prepares and negotiates intercreditor and subordination agreements. At times, John advises borrowers on structuring ownership or forming special purpose entities, negotiating loan documents, preparing nonconsolidation opinions or assist in closings. Additionally, he has experience representing borrowers in defeasance transactions. Served as lender or borrower's counsel in several loans for the construction of multistory condominium developments in Chattanooga, Tenn. Represented the lead lender in financing the construction of a baseball stadium in Chattanooga, Tenn. Served as Tennessee and Georgia counsel in numerous multistate financing transactions secured by shopping centers, office buildings and senior living facilities. Represented a bank in series of loans secured by senior living facilities in California and Mississippi. In his general corporate representation, John counsels clients on capitalization, business management issues, transfers of ownership interests, business succession planning, buy-sell and employment agreements and dissolutions. He also advises on intellectual property matters, such as trade secrets, confidential information and trademarks. 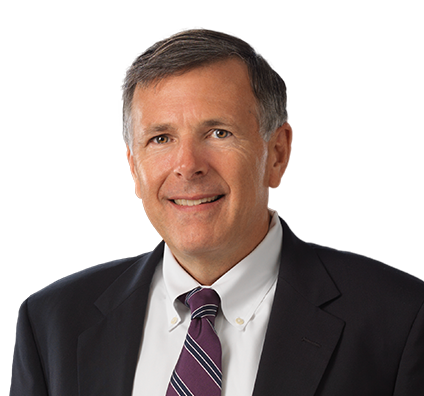 John provides transactional representation to companies in the areas of mergers and acquisitions. Representation in this area includes advice as to structuring deals, preparation and negotiation of acquisition documents, and closing the transaction. Represented purchaser of retail agronomy businesses based in Mississippi and Texas. Represented Tennessee-based paving contractor in connection with sale of business and assets of Midwest division. Served as lender or borrower's counsel in several loans for the construction of multistory condominium developments in downtown Chattanooga, Tenn. Represented the lead lender in financing the construction of a baseball stadium in downtown Chattanooga, Tenn. Represented a life insurance company in loans secured for an office tower in downtown Nashville, Tenn., and a distribution facility near Nashville. Represented the senior lender financing the construction of mixed income multifamily residential developments in Little Rock, Ark.